Himouto is word play in Japanese that describes a little sister who is perfect in every way--smarts, athletics, beauty... except when she comes home! She just lazes around! Plays games all the time! Generally is unhelpful! 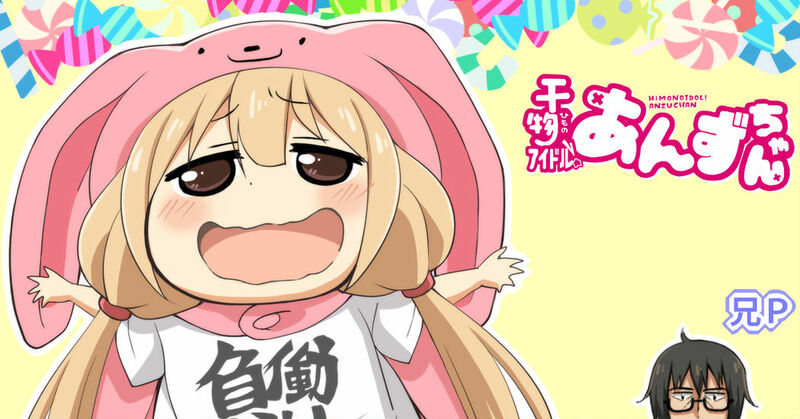 The main character, Umaru, is this exact character and is featured in this season's anime, Himouto! Umaru-chan. When she becomes himouto, she becames a super-deformed, two-head tall mascot looking character. Today's Spotlight is all about Himouto parodies!